Adam Wilde returns to his home town of South Heads to take up the position of student counsellor at South Coast University. But it's a bitter-sweet appointment for Adam, his predecessor was tragically killed four weeks earlier in a car crash, along with three other locals. 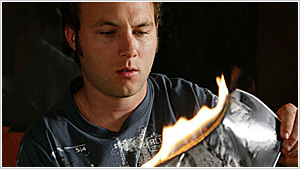 Adam discovers a community still reeling from the loss and also struggling with the mystery that surrounds the accident. The driver of the car, Craig, now in a coma is the only person who has the answers to the question on everyone's lips ... what really happened that night? 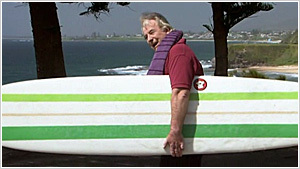 Note: originally titled Away from Home and envisioned as a spin-off from Home and Away, the series was reworked into a stand-alone show with the name Campus before finally becoming Headland. Craig Palmer has awoken from his coma, but remembers nothing. Grace has been directed not to tell him anything so he remembers by himself. Maddy McKinnon, sister of Angela, is struggling at home with a sick mother and a father who is hellbent on getting revenge for his daughter's death. Will tries hard to make amends with Kate after sleeping with Sasha. 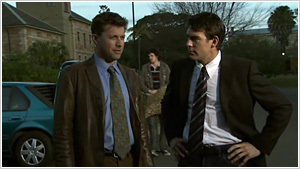 Adam finds himself stuck between a father and daughter as Sasha and Greg try to manipulate him regarding Sasha's counselling. Sasha faces up to her father, but is clearly hurting. 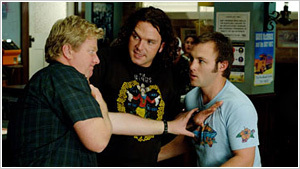 Heath tries to convince Elly to get back with him. Kate has a terrible first day at uni as everything goes wrong for her. Sasha has her first counselling session with Adam who suggests she do something for Will and Kate. As Will's car has broken down, he cannot take Emma to daycare, so Sasha volunteers to babysit her. Elly fights a lecturer and the system as Maddie is discriminated against because she doesn't have a model's physique. Craig struggles to remember what happened in the accident, despite pressure from the police. Sasha lets slip to Glenda that she babysit Emma, and when Kate finds out she threatens to leave him. 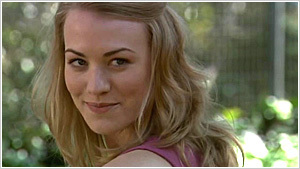 Elly is pursued by Simon Blair, but is more worried that Heath has found new love with Freya. Maddie's new assignment leaves her worrying about the repurcussions as her friendship with Craig causes problems. Grace is evasive with Det. Palmero as to what Craig really knows. Adam doubts his abilities as Sasha walks out on his counselling and he gives bad advice to Will. Maddie moves into the Headlands Hotel after Mick kicks her out and with Adam's help she tries to patch things up with her father, only to discover he has put her mother in a home. Sasha recieves abusive phone calls and is the subject of toilet graffiti at SCU. Kate and Will reconcile and move into Will's parents house. Adam faces demons from his past as he returns to his old house for the first time since returning to South Heads. Elly is jealous as Freya makes moves on Heath. 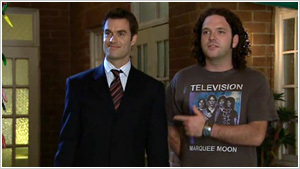 Sasha attempts to get revenge on Gareth by enlisting the help of Dane Pickerstaff, a computer nerd. When Gareth retaliates, things start to get out of hand. Maddie goes on a hunt for her mother and comes to the conclusion that things with her father aren't going to improve anytime soon. Craig comes home and tries to relax by hitting the books. When he can't remember anything he begins to panic. Maddie continues to investigate the crash, discovering some truths that are inconsistent with history. After Rob gives in, Adam learns the shocking truth about his mother. 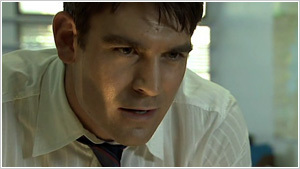 Heath gets into a fight with Gareth, prompting Gareth to tell Grace that Sasha has big problems. As Elly fixes Heath's wounds she is overcome with passion, rekindling her love with Heath. But a big invitation from another love interest puts Heath's plans to bed. Maddie takes Craig to see her mother. Grace celebrates John's birthday with Adam. Craig is arrested. 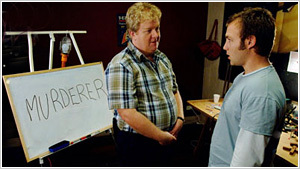 Craig is interrogated by the police, and during the interview he remembers John overdosing in the back seat. When Luc asks Grace if John took drugs, she says no and lands Craig right in it. Glenda reassures Adam that his parents loved him, despite what happened. 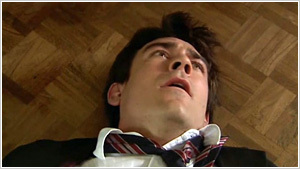 Heath loses control after Elly brushes him off for Simon. Rob isn't happy about After Craig asks her something about Angela, Maddie does some digging and is shocked by what she finds. Maddie is forced to reveal her dilemma as she finds out some shocking news about her sister. Ellie persuades Simon to bend the rules for Maddie, and Adam, Will and Kate plan a weekend away. Adam is devastated when he learns the secret about Sasha's troubled relationship with her father, and Craig uses logic to create meaning from seemingly random events in the hope that it will finally spark his memory. Will and Adam's wild night out takes an unexpected turn. Mel and Andy try to get revenge on Sasha. Grace risks her safety trying to help a client. There's something in Craig's memory that someone doesn't want him to remember. Will realises his parent's house deposit offer has strings attached. Mel and Andy are unaware that their plan has deeply upset Dane, and Sasha is out with a vengeance. Craig unlocks some of the shocking secrets from the night of the car accident. Will and Kate's dream of owning a home turns into a nightmare. Adam finally comes face-to-face with his father. Craig buys illicit drugs. Elly steps things up with Simon. Meanwhile, Greg turns Diane's party into a publicity stunt, and Grace and Palermo grow even closer. Andy and Mel try to dig themselves out of a mess. Simon cools off the relationship between himself and Elly. MJ decides to give Adam another chance. 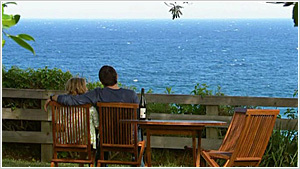 Diane's plan convinces Sasha it's worth returning to Headlands. Despite Freya's best efforts to avoid it, she finally meets Heath's mother. Craig burns the incriminating photographs — and is shocked to discover who took them! Sasha enjoys her new found power over Andy and Mel, as they face a very uncertain future. Craig discovers Wiley knows a lot more than he thought. 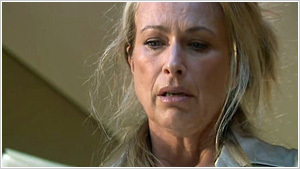 Elly confronts Jessica for meddling with her relationship with Simon. Palermo receives a troubling phone call. Will worries about Kate and MJ meeting. Ben relives the night he killed Adam's mother. Andy convinces Sasha to let Mel move back into the Hotel. Maddie's internship interview has a bumpy start. Adam and Kate share an awkward moment. Freya has some news for Heath. Note: this was the last episode to air in Australia during the series' original run. With only a few days before the trial, Craig remembers details which could clear his name. Plus, Maddie discovers a devastating truth that will change everything. Sasha digs deeper into Freya's personal life hoping to learn the identity of Chloe's father. Craig's trial seems to be going from bad to worse, and Wiley's evidence threatens to make or break Craig's case. Maddy questions Sam's motives in their relationship. Sasha comes up with a plan to tackle Freya and enlists Toby's help. With Craig's fate in the hands of the court, a surprise witness comes to his defense. Adam discovers Kate's secret. Sasha and Toby to break into Freya's home. Adam is torn over whether to tell Will about Kate's dancing. Mel and Andy face the day after. Freya is forced to come clean to Heath as all of her secrets are reavealed. Maddie helps take down Sam. Greg makes Freya an offer she can't refuse but getting her out Heath's life isn't so easy. Unaware of all the circumstances, Maddie agrees to help Freya expose Greg. 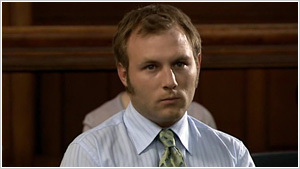 Heath turns to Ellie and Will convinces Mick to come back to work at the pub. Greg's wife finds out about his affair with Freya and asks for a divorce. After the story hits the papers, Greg shocks his family by announcing that he is selling the hotel. Luc and Grace officially move in together. Life at the Headlands Hotel is shaken up when the new manager arrives with talk of redevelopment. Luc's wife shows up on Grace's doorstep with their son. Will learns about Kate's dancing. Will and Kate jointly interview for new mangers job. Maddie offers Sasha a chance to tell her family's side of the Freya story. 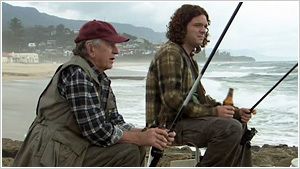 Luc makes an effort to be more involved with his son and decides it is time he and his wife got a divorce. Will moves out. Craig ties to tell Maddie he doesn't actually love her as he said. Grace agrees to let Luc's son Nathan to stay with them longer. Will moves in with parents and Kate decides to drive to Perth with Toby. Will and Kate are at a crossroads, can they put aside their personal issues and accept the managment deal or will Kate leave for Perth. Not wanting to lose his daughter, Will takes Emma to his parents' home. Craig begins his community service, Mel gives Nathan a job and Kate goes to Grace for advice. Grace finds herself in the middle of a custody dispute. Andy's TV debut makes him a laughing stock, but he soon discovers the upside. Kate decides a gainst going to Perth while Toby departs without Sasha. Will accuses Adam of interfering with his and Kate's lives. Maddie stands in the way of Craig and Charlie. Adam's night with Sasha becomes a popular topic. Craig runs afoul of Charlie's ex. Ellie set her sights on Heath but he now sees her just as a friend. Maddie walks in on Charlie and Craig. Craig gets a public dressing down from Maddie. Luc suspects Charlie when their is a break-in at the college residences. Mel asks Andy to move out, Charlie's ex continues to hastle her and Kate's mother arrives. Kate's mother makes herself at home and lets news of Kate and Will's seperation slip to James. Li-Liu's agressive admirer won't takes no for an answer. James aks Kate to attend a seminar with him. Gareth is given an official warning but doesn't reign in behaviour and after learning about Adam and Sasha's relationship, tells Jessica who suspends Adam. Will and Kate patch things up while Adam and Sasha decide the cannot be together. Charlie takes a stand and turns Jack in to the police. Nathan gets caught in the middle of things leading to Luc being shot by Jack. Despite his suspension from work, Adam and Sasha's relationship continues. Julie finds herself on the outside looking in when Julie keeps her from seeing Luc in hospital. On the run with Jack, Charlie tries to free herself from her dangerous ex. Andy becomes Li-Liu's newest overbearing admirer. Julie exploits Luc's fears to get him to agree to move to Sydney but Grace won't let him go without a fight. Grace speaks to Jessica about having Adam reinstated. 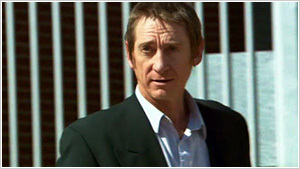 Craig takes Charlie to see Luc in hospital before she talks to the police. Andy recruits his friends to act as chaperones for his picnic with Li-Lui. Rob has a glimpse of his future while spending the day with Emma. Sonny forbids Li-Lui from seeing Andy. Charlie tries to get Jack to turn himself in. Jessica investigates Gareth's complaint against Adam. Rob's redundancy payment is not what he expected. Convinced Sonny knows Li-Liu, Adam presses him to reveal how they know one another. Adam and Sasha face the prospect of hiding their relationship after she tells Jessica they've brocken up. Mel's sister Cassie arrives for a visit and surprises Mel with news that she is transfering to South Coast — and moving in. James approves Gareth as the new tenant. Broke and caught up in a very public fraud investigation, Heath and Sasha's father lands on their doorstep in need of a place to stay. Despite Heath's objections, Sasha allows him to stay. When Rob's search for work hits a roadblock, encouragement comes from an unlikely source. Gareth continues to make everyone uncomfortable, Cassie makes herself at home, Luc leaves hospital, and Greg goes missing. Media and police speculation cause the Forbes family to question the reason behind Greg's disappearance. Luc continues to be haunted by visions of the man who shot him. A mysterious message from her father gives Sasha hope. Adam and Sonny face off over Li-Liu. Sasha is upset by her father's behaviour. Charlie takes her first steps into college. Sonny and Andy come to blows. Despite his fragile mental state, Luc goes back to work to find Jack. Elly is appointed acting editor of the school paper and recruits Maddie and Dane for help. Elly sees a different side of James and Luc proposes to Grace.